Do you want to know how to get to the namsan tower (myeongdong station)? There are many ways you can get to namsan tower (myeongdong station) such as public transportation (bus, subway / metro), taxi and Blacklink limo/transfer/shuttle service. Don't sweat outside waiting for other transportation with your luggage. Make a round trip reservation with Blacklink as you plan for your trip. It is easy, convenient and available 24/7. Then, the assigned Blacklink driver will greet you at the arrival and will drive you to the namsan tower (myeongdong station). You can use Blacklink for not only hotel but also Gimpo Airport (GMP), Myeongdong, Jongno-gu, guesthouse, resort, airbnb, lodging and anywhere you want to go in Korea. Check out Blacklink customer review posted below. Nam Mountain (pleonastically Namsan Mountain or Mount Namsan) (lit. 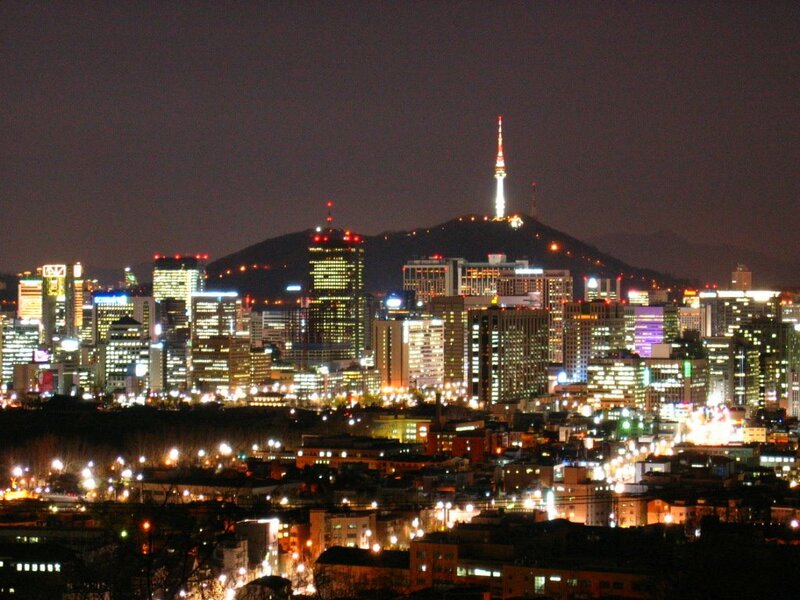 "South Mountain") is a peak, 262 metres (860 ft) high, in the Jung-gu district of south central Seoul, South Korea. Although known as Mongmyeoksan, or 목멱산, in the past, it is now commonly referred to as Mt. Namsan. It offers some hiking, picnic areas and views of downtown Seoul's skyline. 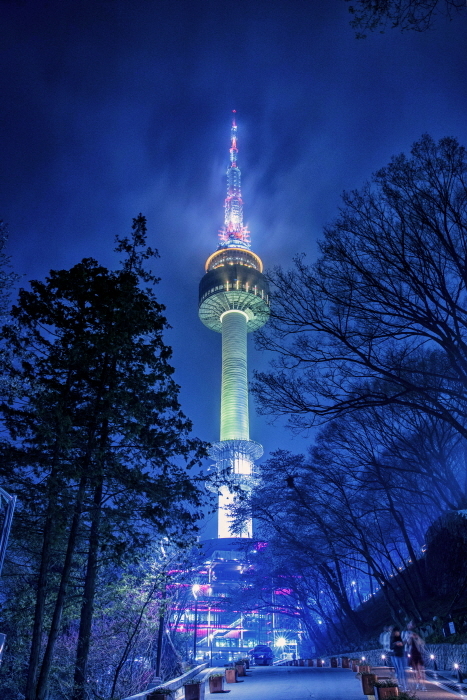 The N Seoul Tower is located on top of Mt. Namsan. The mountain and its surrounding area is Namsan Park, a public park maintained by the city government, which has panoramic views of Seoul. It is also the location of a smoke signal station called Mongmyeoksan Bongsudae' (Mongmyeoksan Beacon Tower, Hangul: 목멱산 봉수대), which was part of an emergency communication system during much of Seoul's history until 1985. From 1925 to 1945 the Shinto shrine known as Chosen Jingu was situated on Mt. Namsan. In 2011 a survey was conducted by Seoul Development Institute, which included 800 residents and 103 urban planners and architects. It ranked Mt. 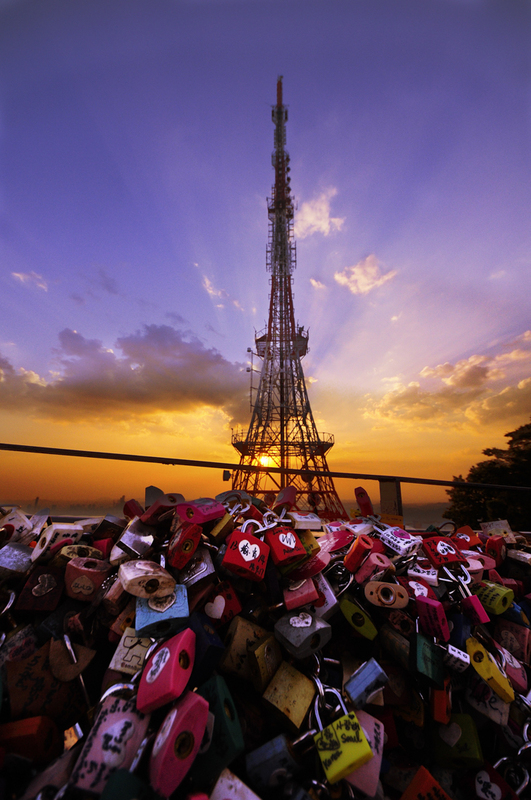 Namsan as the most scenic location in Seoul by 62.8 percent of residents and 70.9 percent of the experts surveyed. The park and the fountain were used as the filming location for Seoul Broadcasting System (SBS)'s drama Lovers in Paris. Namsan is mentioned in South Korea's National Anthem. 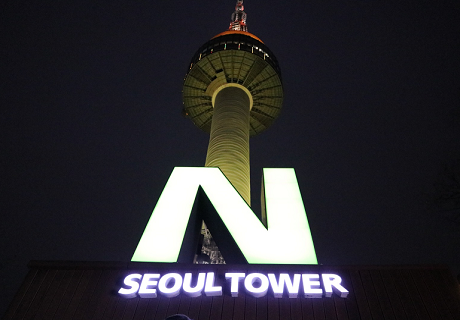 Tourist attractions N Seoul Tower (Ntower): Ntower's height reaches 480 metres above sea level, and it sits in the 90 square metres of Mt. Namsan So. The Ntower is an iconic feature of Mt. Namsan and of the city of Seoul. N Seoul Tower observation deck: N Seoul Tower has an observation deck where people have taken to locking padlocks as a symbol of their love. Some couples who visit here pledged their love for each other while locking a padlock on the rail with a short message. Namsan Hanok Village [남산 한옥 마을]: In 1990, for the first time, it was promoted as a distinct place in its own right. Seoul restored 24,180 acres of terrain which had been damaged for a long time and rejuvenated the traditional garden, and relocated and restored five Traditional Hanok buildings.